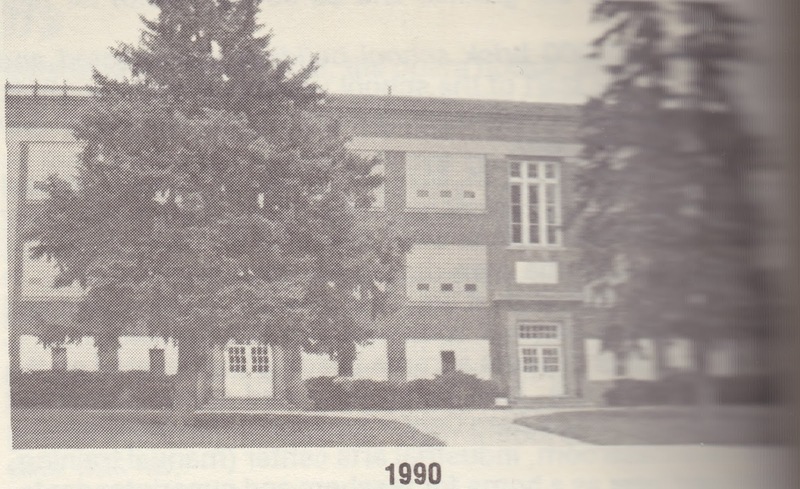 With the steady growth of the community in 1897, two school bond issues were presented; one for $3,000 and the second for $4,000 to build a new school. Both were defeated unanimously and the problem of overcrowding in the school system went unsolved. Instead, they removed the partition between the cloak room and the school room to increase the seating capacity for the 48 students. Late in November of 1897, school patrons built a sod stable at the school house to accommodate the horses of the pupils who rode to school. This stable was going to be used alternately as a classroom if the school became too small. By June of 1898, a petition was successfully circulated to vote on a new building, and by December 15th, Mr. Adams, the contractor had started work on the new structure. 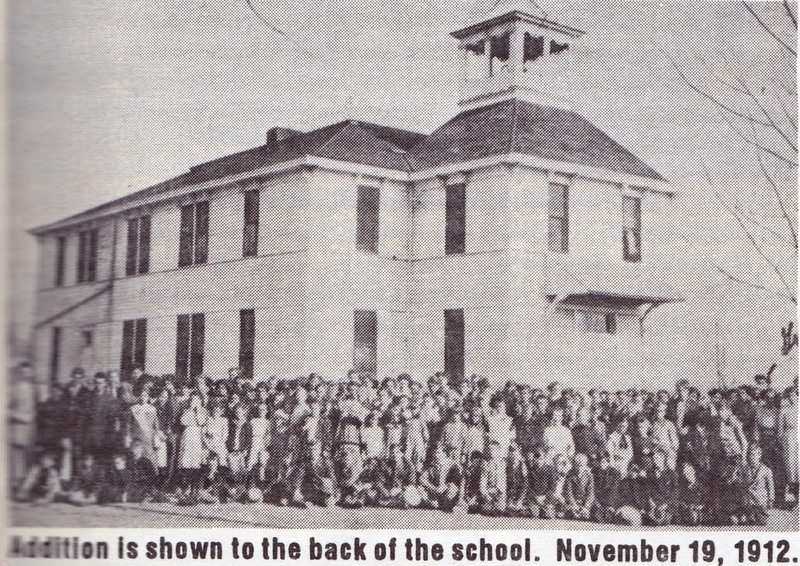 The new school bell was installed in the belfry the first week of January and the first party was held by the Woodmen of America in the new building just a week later. The school was dedicated and classes began the middle of February 1899. Patrons were very proud of the addition to the community and the businessmen soon sponsored the building of a platform and provided seating in the new school house hall. They boasted of the new library in the school that was opened during the summer months. They sponsored book socials, with an admission cost of 10 cents per person, to earn money to stock the shelves. The old school building was purchased by Adam W. Hoatson to be converted into a house. By 1901, 100 scholars were enrolled and this filled the three different classrooms of the grammar, intermediate and primary departments. A Grand Ball was held at the school on February 14th of this year. The Commencement Exercises for the graduating pupils were held in Conway Hall, the opera house, as early as 1908. The end of the school term was always celebrated each year with a school picnic until the mid 1930’s. They were held at the Glenburnie Nursery Grove or Dringman’s Grove or Dillon Island south of town. Swings, croquet and yard games provided the entertainment along with plays performed by the students. 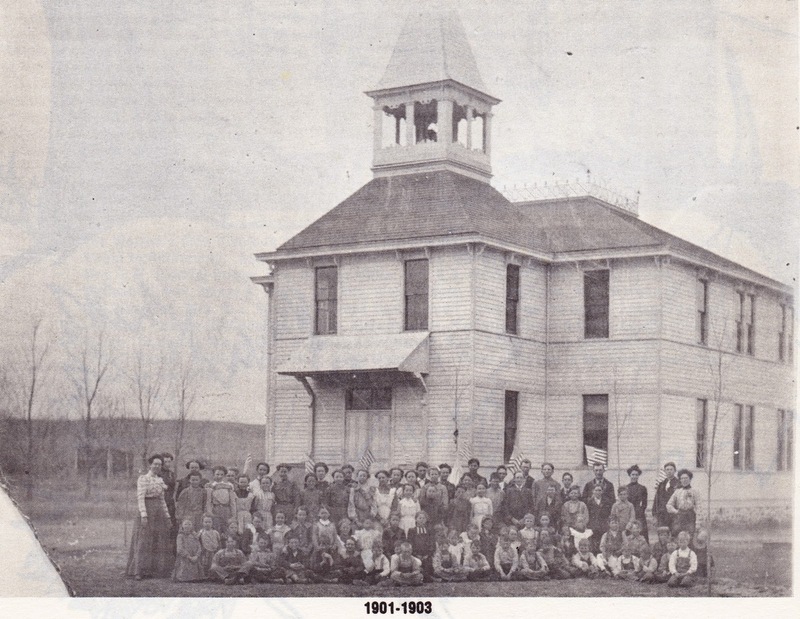 In February of 1911, an election was held to hopefully pass the funding of a bond to build a much needed high school. Even though enrollment was up to 204 students, this measure was defeated. 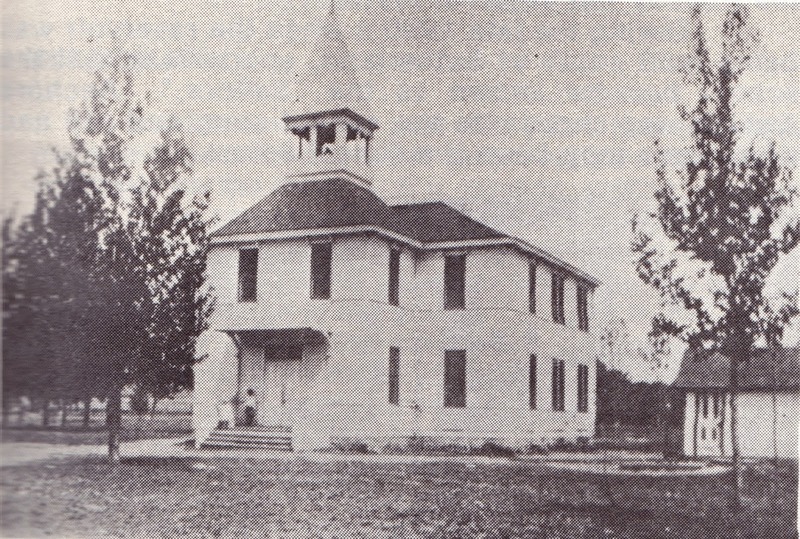 At the start of the school term in September of 1912, a new building housing the 1st and 2nd grades had been completed. High school enrollment on that date was 48. The first class to attend 12 years of school was recognized at graduation in May of 1915. Ten people obtained their diplomas that year at services held at the Conway Hall (Opera House). Baccalaureate services were a tradition for many decades. They were known to be held in 1922 at the Methodist Church for the Senior Class. Spelling Schools (Spelling Bees) were a common way to test the students’ skills. Parents were invited to participate in the First Annual Patrons Day, a time to see classes in session in March of 1915. 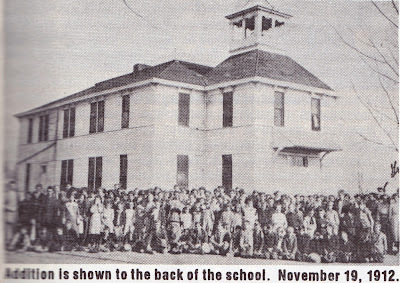 School was rarely dismissed except for outbreaks of contagious diseases. Diphtheria closed the doors in September of 1901 and January of 1903 for a week each. The students received an extended Christmas vacation in December of 1920 when scarlet fever broke out. Tuition rates for students living outside the corporate limits of Sutherland were charged the following rates in 1916 and 1917: $1.50 per month for grades 1 – 6, $2 per month for the 7th and 8th grades, and $3.00 per month for high school. A new $40,000 brick school building was erected and finished for the start of the school year in September 1918. 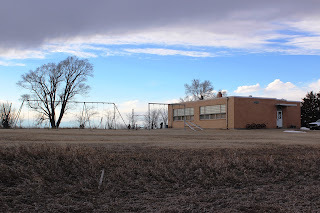 This structure was used until demolition was started on it in the summer of 1990. Work commenced in May of 1936 on a new school gymnasium. It was connected to the north of the three story plant. Government funds were available for labor making it possible to build the gym during the depression years. In November of that year, it was first opened to the public and students with a carnival sponsored by the Pep Club. 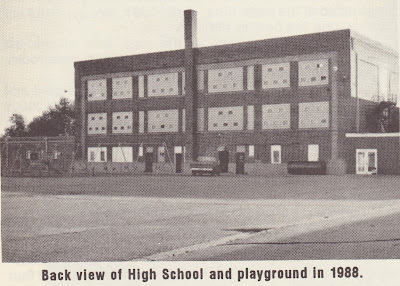 For a number of years a frame building was located on the present school site, later being relocated across the street east at the Bethesda Care Center location. This building was used as a classroom, industrial arts center (manual training, 1938) and later used as a home for teachers and superintendents. It is now located at 511 Fern Street. In 1953 an addition was added to the southeast corner of the three story building. It was used as a vocational Agriculture and Industrial Arts shop until converted into a science classroom and lab in 1976. 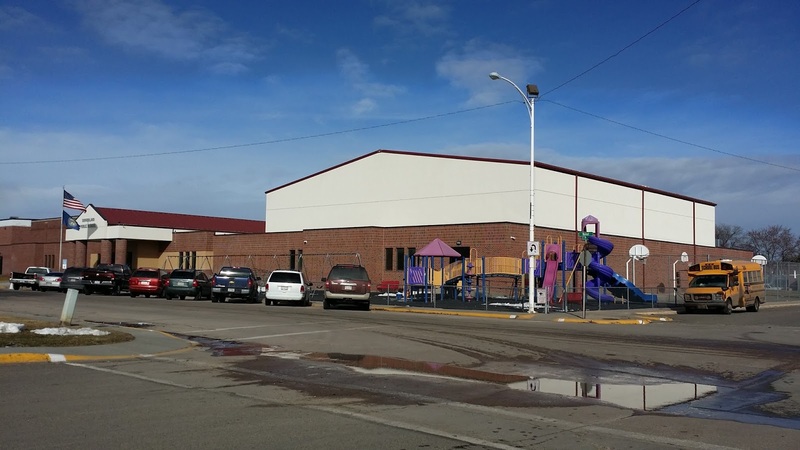 A new gym, costing $225,000 was built and attached to the north side of the old gym. 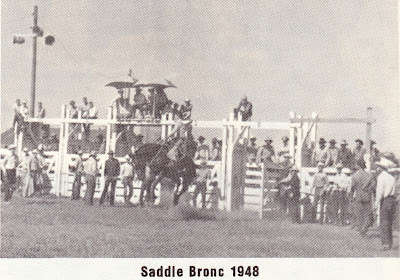 It was ready for use in 1962. This addition also included classrooms for Home Economics, Kindergarten, offices, and rehearsal rooms for the music department. Space was provided for a concession stand too. A dedication was held in early November for this addition on the school and the hospital building, which was constructed at the same time. 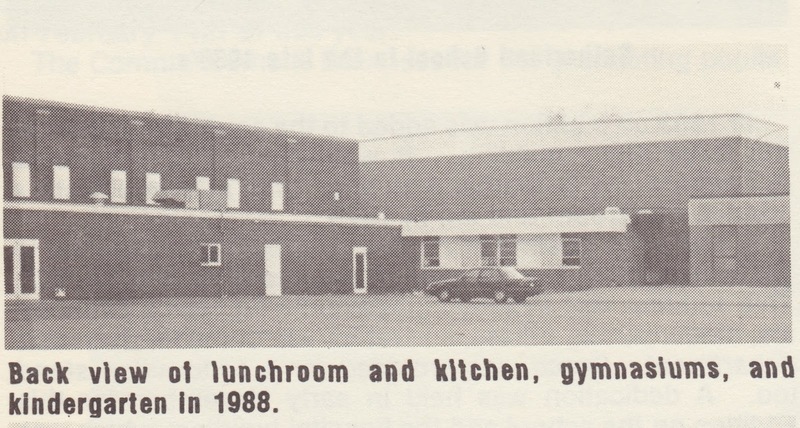 As of 1991, this gym was still rated among the best in the area. An addition was added to the east side of the old gymnasium in 1970-1971. This included a classroom, library, a hot lunch kitchen and storage room. 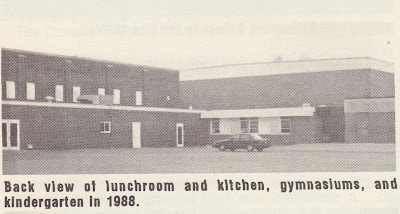 In 1975 a large wing was built east of the new gym and joined with the hallway of the gym. 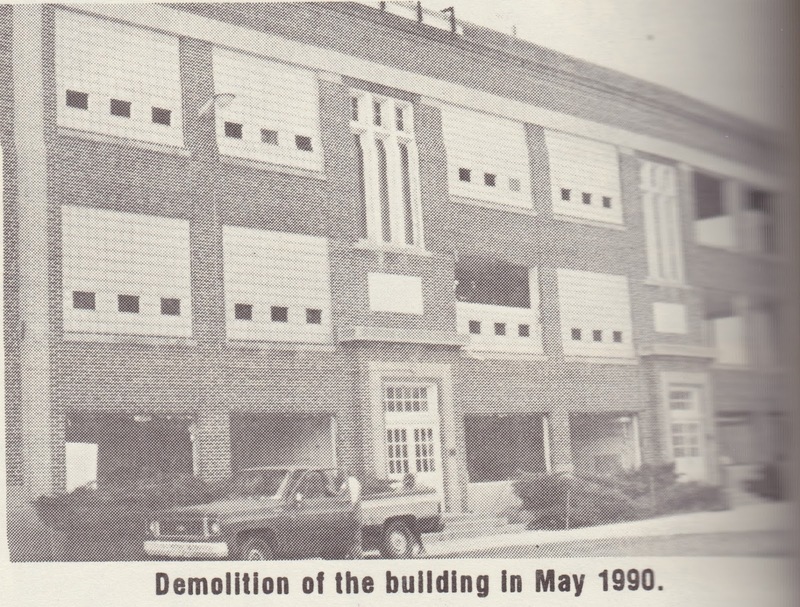 This was an emergency construction to enable the district to accommodate the increased student enrollment during the construction of the Gerald Gentleman Power Plant. It also provided a much needed music area and a larger industrial arts facility with a paint room. 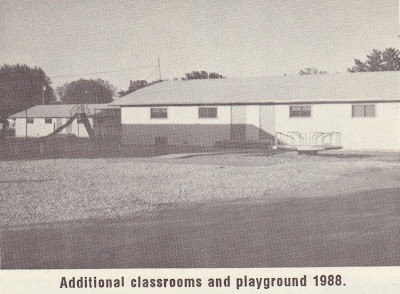 Several classrooms for the elementary school were included in this addition. Portable walls allowed for more flexible use of the rooms. For the first time, students enjoyed air-conditioning during the hot fall and late spring days. With even more growth of the community and a deteriorating Senior High building, it became necessary to add four more classrooms. Two frame buildings, each with two classrooms, were constructed in the southeast portion of the school block. Grades four, five and six used these rooms. 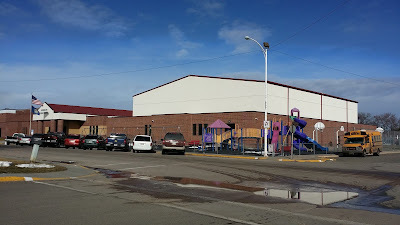 The newest addition to School District #55 was completed during the fall of 1989. 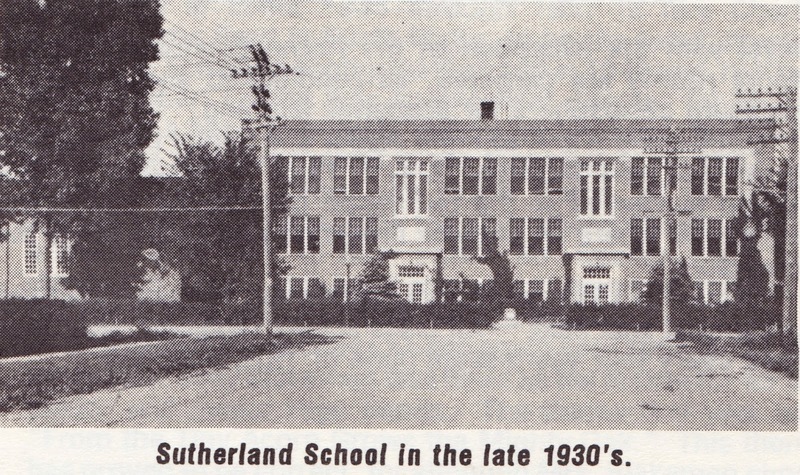 This provides Sutherland with a modern educational facility. The entire building is on one level with the exception of the home economics room. Most rooms are carpeted, air-conditioned and provide a pleasant atmosphere for academic learning. Sutherland’s first all night Junior and Senior banquet and prom was held Saturday, May 2, 1959. At break of day the group journeyed to the recreation park at the Sutherland Reservoir where an outdoor breakfast was prepared by the sponsors. In June of 1919, an Alumni Association was organized and a banquet was held. 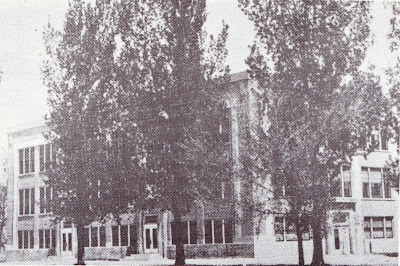 All class school reunions have been held every four years since June of 1976 with 500 to 800 alumni and teachers attending each banquet at the Holiday Inn in North Platte. 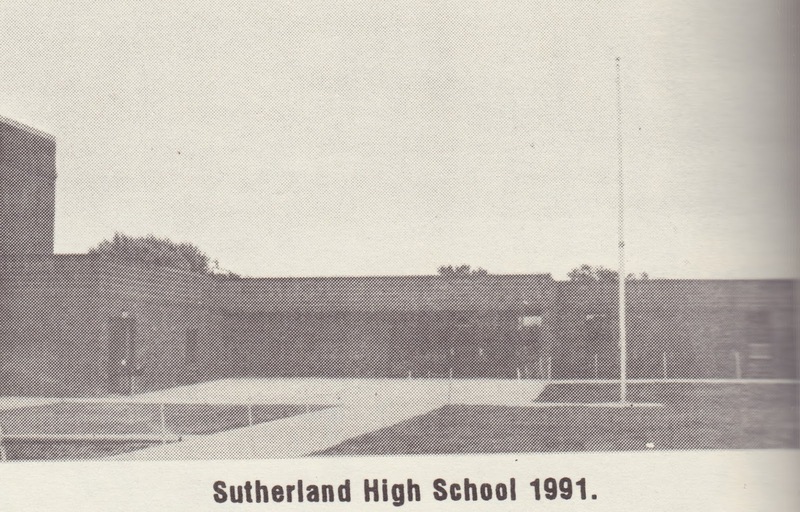 During the 1930’s when the reservoir was being built south of Sutherland, sports teams at the school became known as the “Sailors” Anchors Aweigh was chosen as the school song and red and white have long been the school colors.